When we visited my mother in law in Devon, she made a lovely pie for dessert and had some extra pastry. What did she do with it? 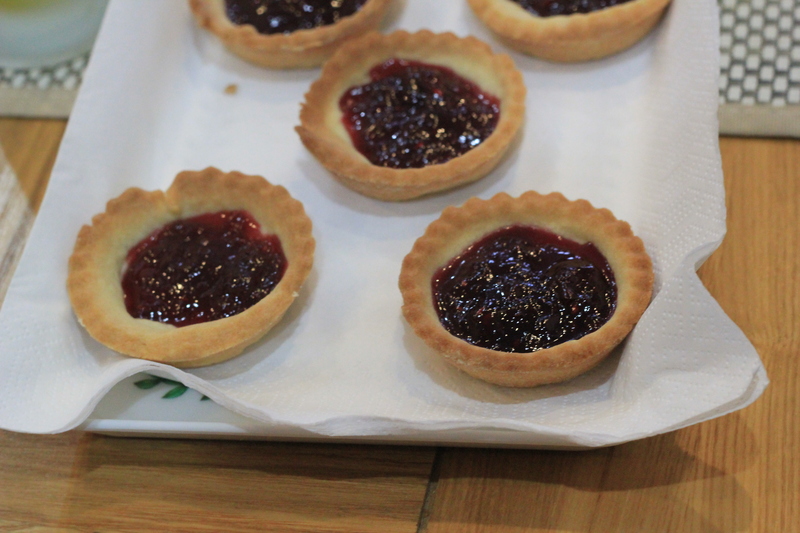 She whipped up a batch of jam tarts! The kids loved them. All you need is some pastry and a dollop of strawberry jam (or really any flavor you like). Easy peasy! Aren’t they pretty? Posted on 10, May 2013, in Food and tagged food, jam, jam tarts, pastry, pie, recipe, strawberry jam. Bookmark the permalink. Leave a comment.